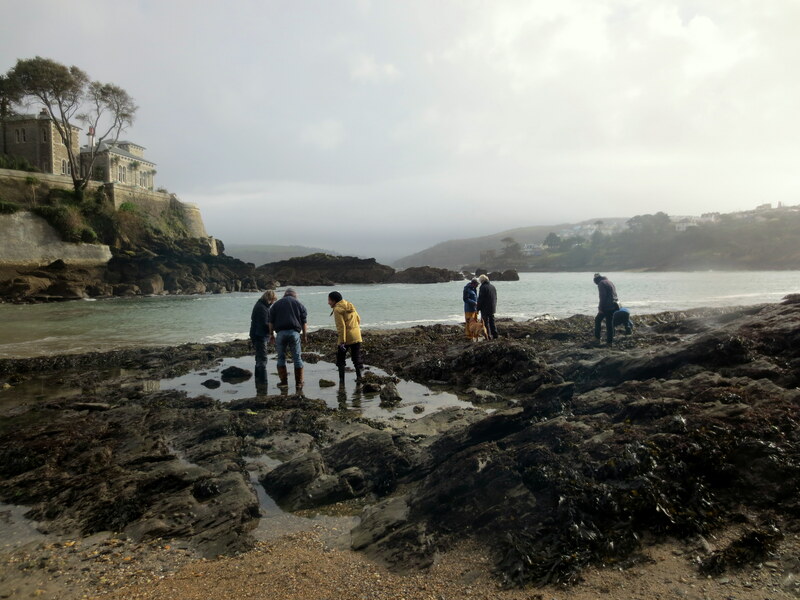 If you’re visiting Fowey, the rock pools at Readymoney Cove are well worth a visit. This popular sandy cove, overlooked by St Catherine’s Castle, is an easy walk from the centre of Fowey and has pleasant views across the harbour towards Polruan. The rock pools alongside the cliffs to the west of the beach are easily accessible and wonderfully diverse. The beach is about 10 minutes by foot from the town centre and is just a few minutes’ walk from Castle Car Park. Public toilets are located at the entrance to the beach and there are numerous cafés and restaurants a few minutes’ walk away in Fowey. The pools are sheltered and provide an excellent habitat for a range of crab species, sponges and fish. 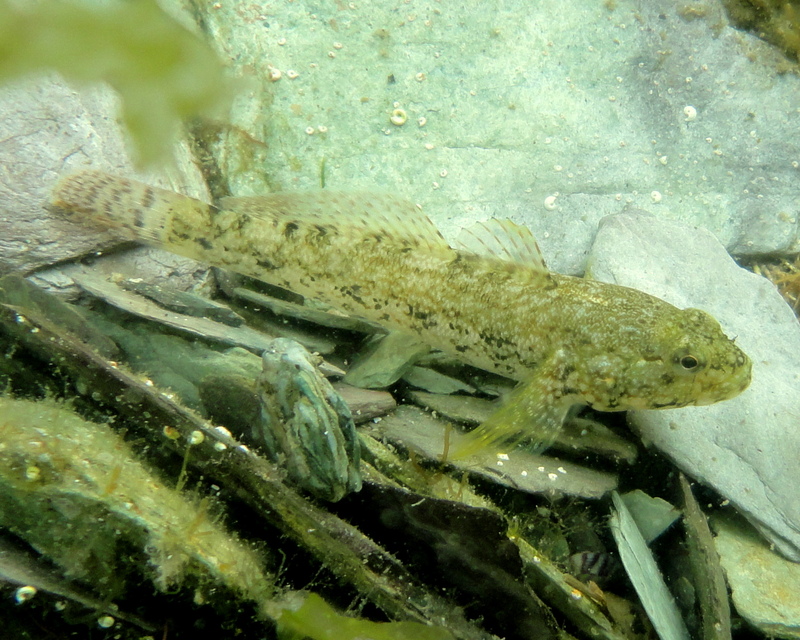 Look out for gobies flitting from rock to rock, worm pipefish among the weeds and several species of crab. 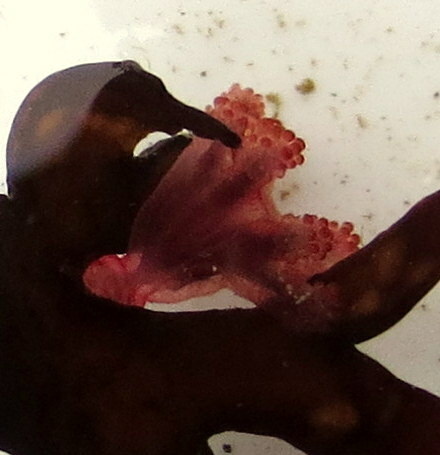 Watch the shells in the pools – if they move quickly there’s probably a hermit crab in there. 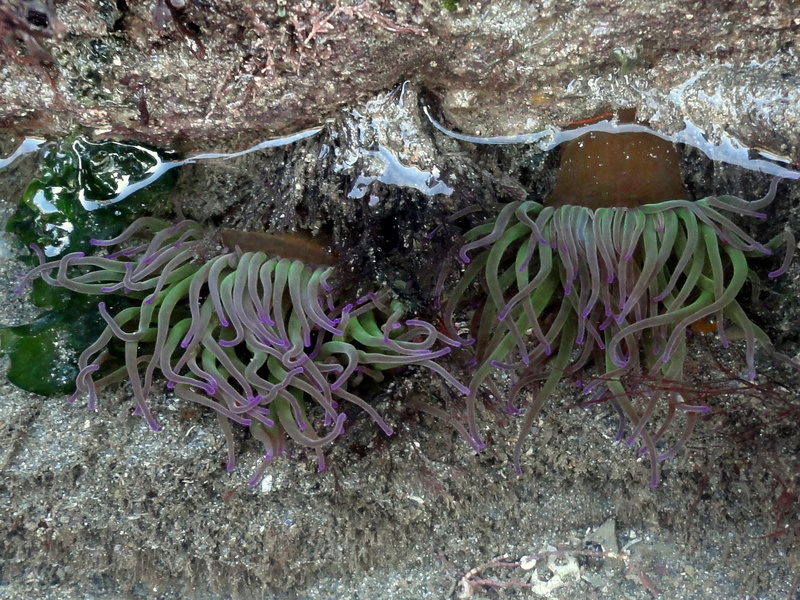 The pools are ideal for colourful anemones. Stalked jellyfish have also been seen here but you’ll have to look closely: they’re only the size of your thumbnail and they are well camouflaged among the seaweed.